With Kenny’s Chesney’s “American Kids” hitting at country radio with 116 adds its first week, premiering the kinetic video for the song that declares what it means to be coming of age beyond today’s youth-driven clichés was going to be a multi-platform proposition. The Shaun Silva-directed clip made its premiere online at VEVO, for broadcast on CMT: Country Music Television and GAC: Great American Country on June 30th and can be seen below. Shot in and around Southern California, “American Kids” features an eclectic group of young men and women, making music, feeling wholly alive and savoring the adventure in a crazy painted school bus. The bus, painted specifically for the clip, is meant to represent getting beyond what you know and coloring outside the lines. Hearing “American Kids” for the first time, Chesney decided it was so much more than another big hit song. From the pulsating staccato opening rhythm to the laundry list of details that carve a three-dimensional picture of coming of age in America, he recognized the song’s distillation of growing up in the flyover. But it was the euphoria of being alive that pulsated in the melody that pushed him for the clip. 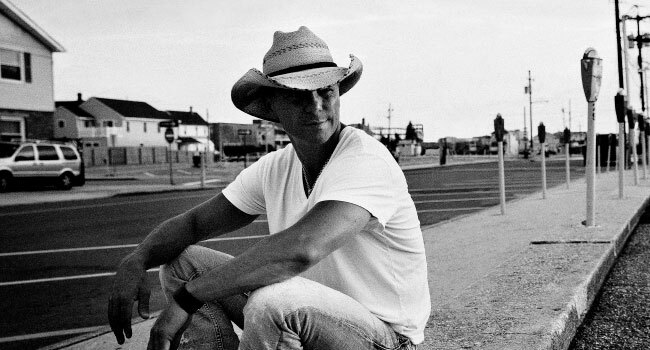 “American Kids” is the first single from Chesney’s highly anticipated 15th studio album. Unlike anything the songwriter’s ever recorded, it signals yet another kind of country music from the man who’s brought unique collaborations with Grace Potter, Willie Nelson, Uncle Kracker, Dave Matthews and the Wailers to the country airwaves.